Lovely summer, we wear sandals, skater skirt, sleeveless dress, shorts and oversized floppy hat. Then, what does our skin wear in summer? Sunscreen may be the simple answer. We, smart ladies, shall learn more. What does sunlight do to our skin? rate cloud and glass and deep into our skin, causes skin cell damages and premature aging. 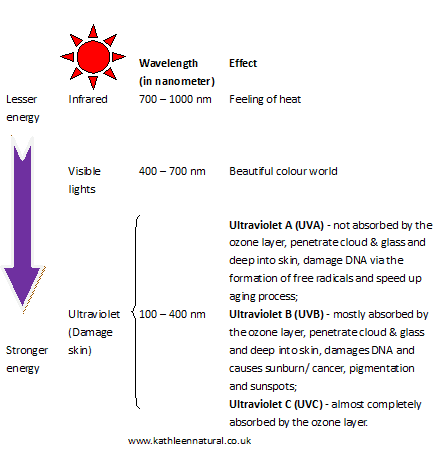 UVB penetrates into the outer layer of the skin epidermis and damages the cells causing the skin to be inflamed or sunburnt. UVA penetrates more deeply into second layer of skin dermis causing direct damage to supporting tissues leading to ageing effects. Both types of rays are attributed to causing different skin cancers. How can we read labels right? SPF stands for “sun protection factor” which represents the length of time you can stay in the sun protecting from UVB. SPF 15 means a person who normally (without sunscreen) would turn red after 10 minutes of sun exposure would take 150 minutes (10 x 15) to turn red. Remember, this does not mean you can stay in the sun for 150 minutes. Red is the one of the symptoms that our skin cells have been damaged. Never risks our skin. 0 filters out about 97%. In Europe regulations, manufacturers are limited to claiming SPF 50+; in Australia it is even more restrictions for maximum claiming of 30+, while in the US, it is no particular restrictions. 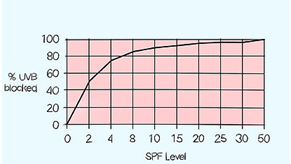 The main ingredients of a sunscreen product are the UV-filters. UV-filters work in one of two ways: (1) absorbing the UV-light by ‘soaking it up’ like thousands of tiny sponge soaks up water or (2) reflecting the UV-light away from the skin like thousands of tiny mirrors. Absorbing filters, also called chemical or organic filters, soak up UV-light then converting it into lower energy and safer infrared light. Reflecting filters, also called mineral or inorganic filters, are commonly used together with absorbing filters to get more efficient results. Different UV-filters tend to be effective against different wavelengths of UV-light, therefore most sunscreens products include several different UV-filters to provide a broad spectrum of protection, high SPF value and UVA seals. Many of UV-filters will not dissolve in water, therefore sunscreens must contain large amount of oil ingredients to help dissolve the UV-filters which make people feeling oily and greasy. 3-rule must be followed to ensure the SPF and UVA seals works. Apply a thick layer; 1/4 to 1/3 of a teaspoon for face and 6 teaspoons (golf ball size) for body; Some studies found that people apply only half of the amount required and leaving your skin unprotected. Re-apply every 2 or 3 hours; The sunscreen layer will be worn off and/or fully soaked of the UV-light. Are UV-filters toxic our skin? Based on the Environmental Working Group (EWG) scores, I summarized following table of UV-filters against different level of toxicity concerns. EWG recommends that we have to avoid sunscreens and other skin and lip products containing vitamin A, retinyl palmitate, retinol, retinyl acetate, retinyl linoleate and retinoic acid – manufacturers believe these slow the skin aging. Studies found the possibility that these ingredients may speed the growth of cancerous tumor when used on skin exposed to sunlight. 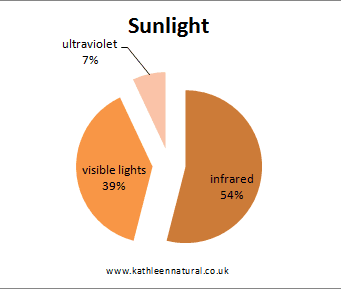 Obviously, sunscreen is not nutrients, so wisely prevent the higher toxicity concerns UV-filters. As sunscreen works as a cover on my face, I always apply my prestigious skin care products, Glamour Ageless and Silk Miracle Essence well before any sunscreen. I don’t like mixing UV-filters with those precious ingredients that blocking the benefits sinking into my skin.